My experience with this game might have been a little clouded due to the fact that I don't have an Xbox/PS controller, so I had to play with keyboard, but I can definitely see the potential in this! I think this game can grow exponentially more interesting the more enemy variety gets added, which is a good thing. Keyboard controls felt a little clunky (controlling the well itself might be better with the mouse, but there was hardly enough time to implement two separate control systems), and the art is nothing special, but the idea is really good. Simple, but very fun, ho boy! Super fun to play with! 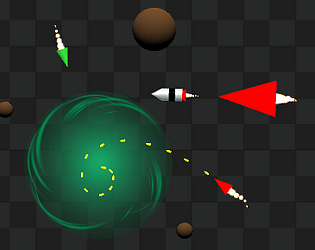 I really liked pulling the bullets and missiles and just wave them around until they hit the enemies. The inverse gravity was just harder to control. Really good job on this, congrats! I had fun with this! Taking different objects and using them to bludgeon enemies was a good twist. In a way, the way different objects build up reminds me of Katamari. Wish there had been a bit more content/challenge/progression, but the mechanics are solid and fun to play with. The ammount of possible strategies you can make with so little elements is astounding. It really, truly is. Because the mechanic is so intuitive and effortlessly manageable, with, let's say... Oh! That's ONE enemy of ONE Type. It's simple, yes. It's super crude, yes. But you know what? Against all odds, that also adds to the experience and speaks to just how much the idea shines through any presentation or additional design (IE how health and score works, which is not exactly 100% part of the core gameplay loop). Which is also my one and only complaint about this game: It does only one thing. Amazingly, almost perfectly, but yeah, only one. And that's all you can ask of a jam game. Amazing work, really. Really good game, the graphics could have used a bit more polish, and the game play gets a bit repetitive once you figure out how to swing your collective mass of missiles and rocks around, which felt more like a space sword battle more than anything, but over all really nice game! Really nice gamefeel! The movement was smooth, and while it was a bit hard to control the gravity well with keyboard, it wasn't terrible and I could definitely see it working better with an actual gamepad. Felt like some kind of awesome space-telekinesis user. :D To improve it, I think I'd suggest focusing a bit on making it aesthetically consistent and thematic (right now the polygons somewhat conflict with the gravity well and other effects). SO SICK! The game felt really good to play. I had a blast slinging asteroids around, blasting back huge masses of bullets, and blowing up ships with missiles. The core game play was super solid, and I loved all the extra bits like screen shake and particles that made it feel even better. I think it's a little to easy, as your gravity well is quite large, and there's no reason not to have it on constantly. Other then that though, I really enjoyed it! Very nice job! Incredible! 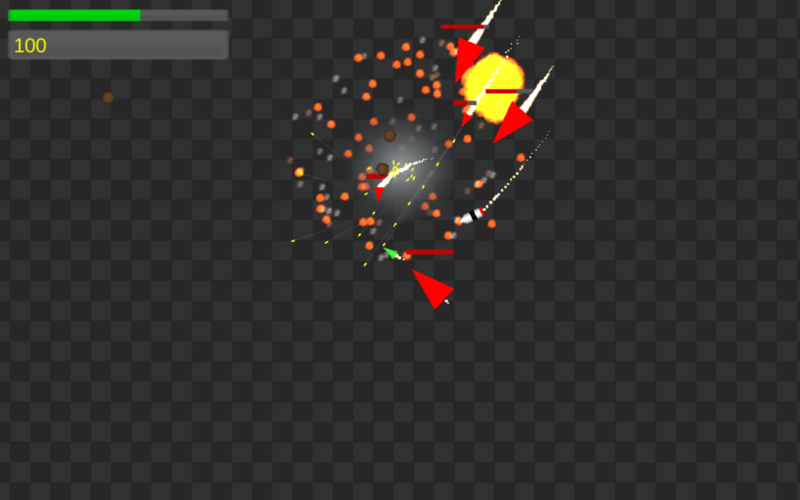 A very well executed take on bullet gravity fields. Well-polished, fun, fast-paced, and feels amazing. Excellent! Super cool concept that is mechanically executed so well. Everything feels so smooth. Unfortunately, it doesn't feel like it's super well utilized. It feels like it needs some more scenarios that really make great use of the mechanic. Also, it feels like the mechanic needs some restrictions like a resource pool that needs to be recharged. As it stands, you feel practically invincible. Thanks, and I agree. 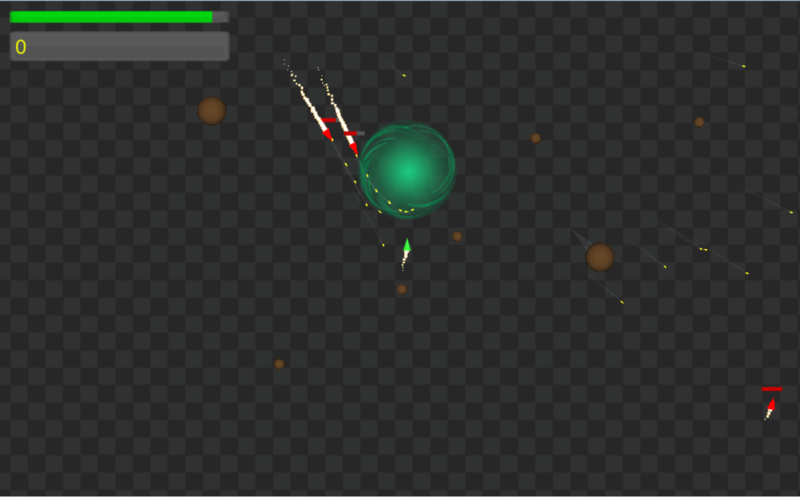 I want to add more level/enemy variety and a mechanic to limit the gravity well. 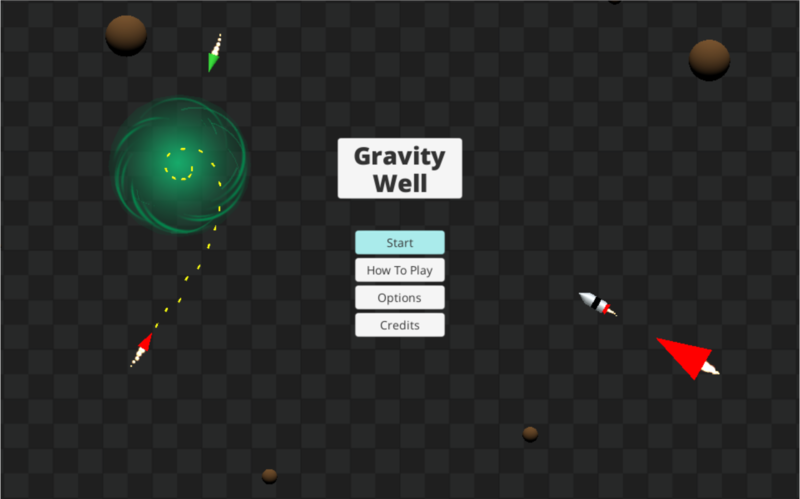 I'm currently thinking a slider that moves back and forth depending on the type of gravity you are actively using, and if you max it in either direction that type is disabled or weakened for a time. Great game; would recommend if you continue with it to look into more complex level designs and fixed size waves as a form of progression to enhance replayability. Controls are super smooth, and very fun; no glitchiness at all despite the fact that you're dealing with complex physics; really well done. The game feels great and the BGM and sound effects are on point. even though the graphics are not the best , they give you the necessary information. The game feel is on point. It feels fun to play the game. This game works great as a toy. The graphics, even though are simple, provide the necessary information for the player to understand what is happening in the game. Very cool concept, I reckon that this type of game would work well on consoles. I found it a little easy, maybe you could make the gravity well a little less strong so it doesn't trap every object, and they only redirected / don't stay in the well when you move it around. I found the best way to beat enemies was to catch a bunch of stuff in the well then put the well on top of the enemies. Possibility even have a limit on how long you can use the gravity well. This game feels so good to play! 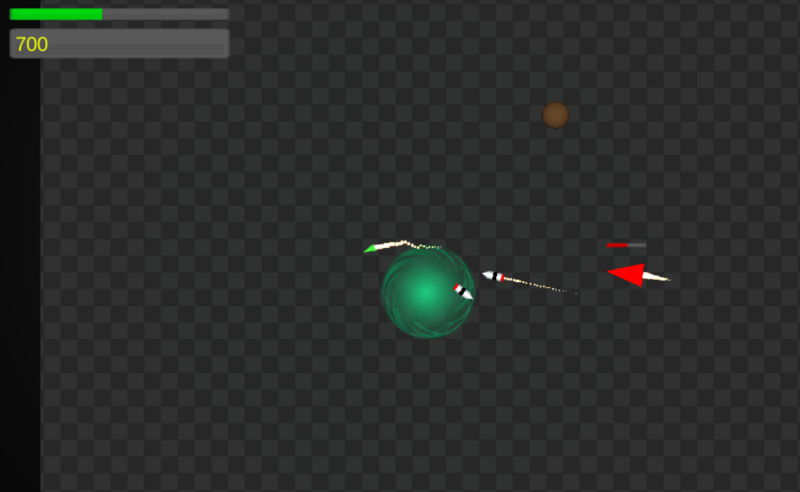 Especially swinging stuff into enemies and firing bullets back at them like Neo. I'd love to see a more fully fledged version of this, perhaps with some more enemy types and stuff, but even as it is it's just really fun to play.